Here are some photos of the Sylvester family. 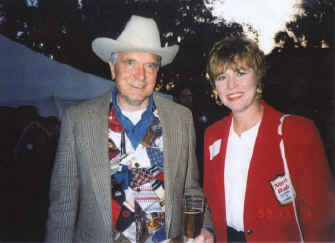 The Sylvester family has been in the hospitality industry for three generations. Tony Sylvester brings you all that experience in all the ABC schools' curriculum and teaching methods. 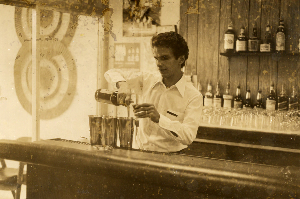 Tony Sylvester teaching his first bartending class in 1977 in Margate, Florida. 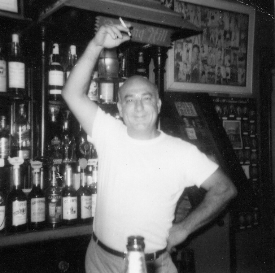 Tony Sylvester, Sr. tending bar at the Hainsville Inn in 1964. "He was the greatest". The drink of the day was Skip and Go Naked made with Gin, lemon juice, sugar and beer in a tall iced glass. 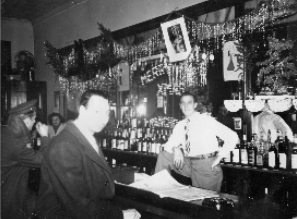 Uncle Mickey Sylvester tending bar at the Ponco Tavern 1943. He retired after 40 years of professional service. 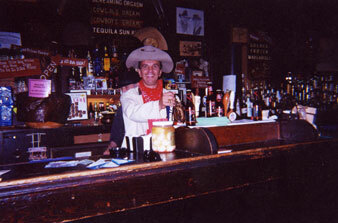 The drink of his day was The Horse's Neck made with a tall glass filled with ice, lemon spiral, ginger ale and whiskey. 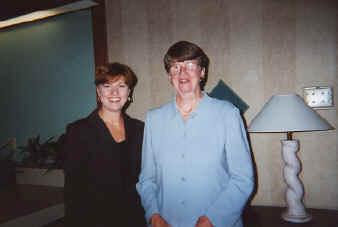 Karen Sylvester worked her way through college as a bartender in Rhode Island. 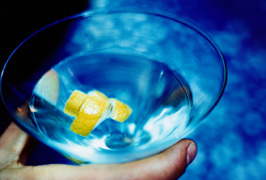 She was able to supplement her tuition plus pay for her room and board as a bartender. After going to school she received her BA and has gone on to success as an executive for one of Americas top 100 companies.